Comments: I captured this evening over a couple of nights. The seeing was very bad on both nights but I was pleased to be able to do 10min subs. FOV is wider than the previous image I took in Feb 2008. Messier 81 (also known as NGC 3031 or Bode's Nebula) is a spiral galaxy about 12 million light-years away in the constellation Ursa Major. M81 is one of the most striking examples of a grand design spiral galaxy, with near perfect arms spiraling into the very center. 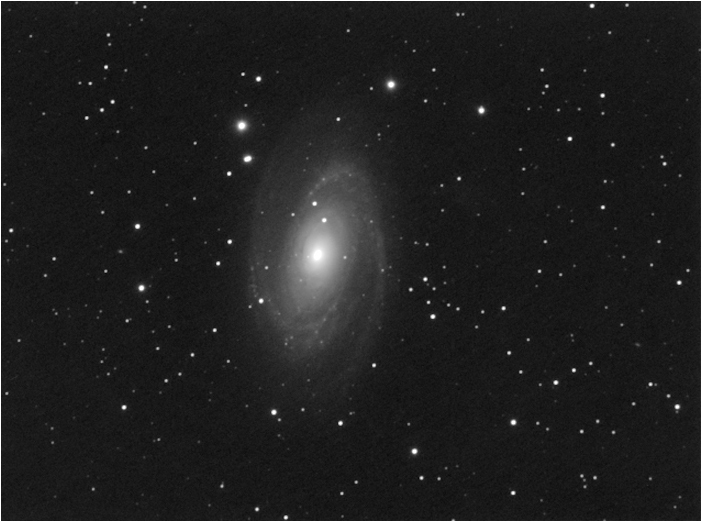 Because of its proximity to Earth, its large size, and its active galactic nucleus (which has a supermassive black hole) Messier 81 is a popular galaxy to study in professional astronomy research.